Social media is an essential piece in the puzzle of your overall marketing strategy. It helps businesses acquire new customers, increase brand awareness, drive traffic, and even boost overall conversions. However, just starting an account isn’t always enough to achieve your goals. The most successful social media accounts cultivate loyal followings and generate meaningful engagement from followers. Here are some tips for your social media accounts that can help grow your following and encourage engagement. Of course, the most important aspect of social media is the content of the posts themselves! If there is a hot topic in the industry or a new trend you want to discuss, jump in as soon as possible to capitalize on the buzz. You can also generate some evergreen content and keep it in your back pocket for a slow news day. Get creative with your posts and your followers will be excited to participate. Games, polls, and questions are great ways to get involved with your followers and have much higher engagement rates than regular posts. Your profile is the first thing people will see when searching your company on social media so make sure it is an accurate representation of who you are. Take a step back and look at your profile as a whole to see what it says about your brand, is there anything you want to change? Which posts have gotten the best response? Does it look like an account you personally would follow? Pinpoint what direction you want the page to go in and start planning your future posts to follow those guidelines. It is also important to have a consistent company voice, whether it’s one person running the account or 20 people, make sure it always reflects your company values and communicates those clearly with your audience in everything from your profile bio to the things you post and comment. 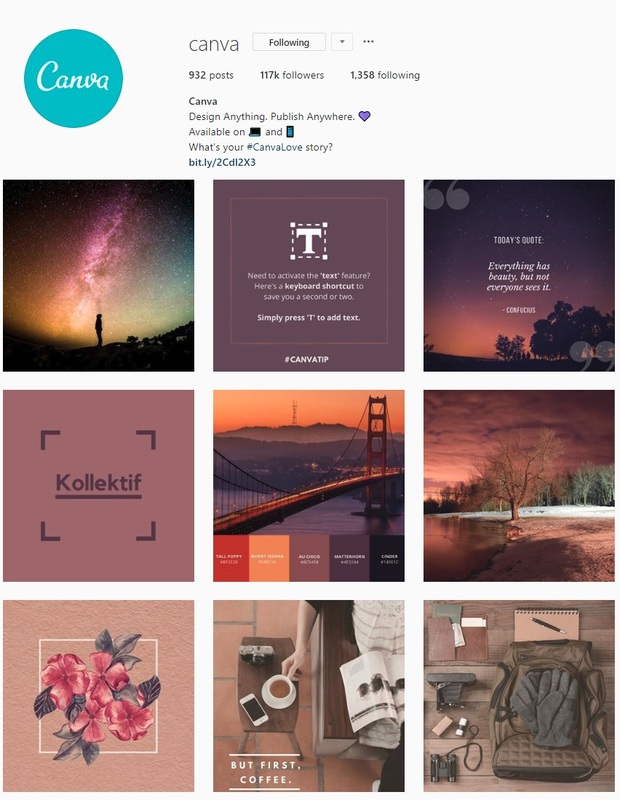 A good example of image consistency is found on Canva’s Instagram. They take a macro view of their social media, seeing the individual posts as parts of a larger picture they stick to a similar color pallette for their posts so there is a consistent feel when scrolling through their profile. This also helps their brand identity come through on each post of tips and tricks for designing your own graphics and on their profile as a whole. How often you should be posting on social media is a balancing act, people can forget about your company if your account goes weeks at a time between posts, but you could lose followers if you start spamming your account with posts every hour. Set a realistic goal for your posting frequency. Every company is different, but perhaps a goal for you would be to start by posting at least 3-4 times a week and then you can gradually increase to once a day. Keep in mind, no matter how amazing your post may be, it could potentially still fall flat if it’s not posted at the right time. Of course, every audience is different, but a general rule of thumb for B2B brands is to post on weekdays during the afternoon to catch them during breaks! Again, there’s not a perfect calculation for when and how often to post so be sure to test out some different times on each site to see which one works best for you. Social media was founded on the idea of building relationships and connecting with people around the world. Use your social media accounts to showcase your story and focus on what makes your company special. Every picture, text post, and video tells a story about your company and shows potential clients what makes you unique. Get involved in the community by liking and commenting on similar profiles or industry related posts. On your own posts, think of your followers like a community and show them you listen to their questions, complaints and problems by responding with helpful solutions. Nike has always had one of the most loyal followings and they have used social media to build an even stronger community through segmented accounts like Nike + Run Club, Nike.com, and Nike Basketball. This allows you to find an account that fits your specific interests, whether it’s a specific sport you want to follow, or you need help with an order, they have an account dedicated to that audience. 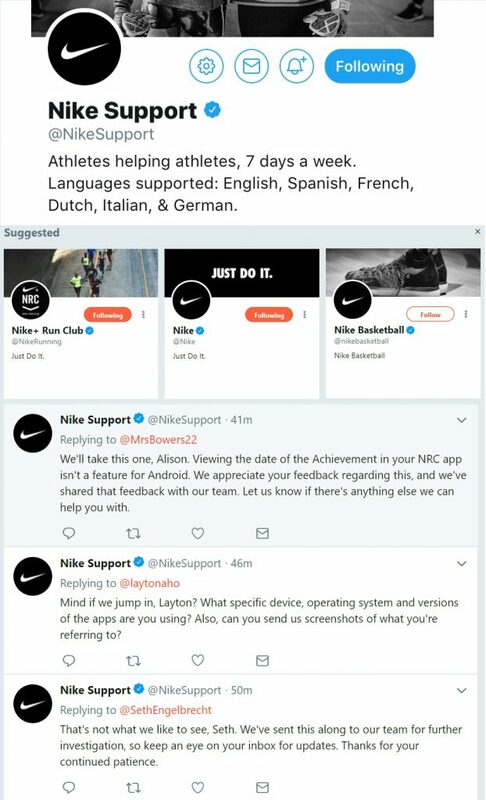 Their support account specifically helps their community flourish by making their customers feel like their concerns have been heard and by providing helpful customer service with a personal touch. Images, gifs, and videos are eye-catching and easy to share, including a high-quality photo or video is more likely to get your posts noticed in a follower’s feed compared to text alone. With a wide range of options including product pictures, infographics, behind-the-scenes pictures, how-to videos, and user-generated content like reposting a great customer review, there are plenty of ideas to share. Reviews and stories from actual users are some of the most powerful marketing tools as customers are more willing to trust feedback from their peers rather than an advertisement from the company itself. Airbnb has dedicated their YouTube channel to showcasing stories and reviews from their community. This welcome video gives a great overview of the content they use on their channel to promote their brand values. By allowing users to share their own stories, they are not just selling trips but the experiences and human connections that come with them. Videos don’t have to be professionally produced and edited like this one, a growing trend on social media is instant video content such as Facebook Live, Instagram Stories, IGTV, and Snapchat where all you need is a cell phone camera and an idea to broadcast directly to your followers. With 100+ million hours of videos watched on social media every day people are always looking for new and engaging content to watch. The right hashtag makes your content easy to discover and can get your profile in front of your target demographic. To find the best hashtags for each post ask yourself what you would search for if you were looking for this content. Don’t be afraid to get specific, targeting a more niche audience can lead to more engagement since your post could be just what they are looking for! Make sure you’re using hashtags appropriately, 1-5 per post is usually the best range for brands. Using 20+ hashtags at the end of every post might let more people see your post but can annoy your followers, detract from your post’s message, and likely won’t drive any meaningful engagement. With these tips you should be ready to build a stronger social media presence and engage with your followers. If you want more specific ideas for what content is best for each of your social media accounts we have 7 Ways to Promote Your Business on Social Media which includes everything from Snapchat to LinkedIn. Still not sure where to start? We’ve got you covered with these 15 Shareable Social Media Images so you can begin posting beautiful, industry-related graphics right to your account. Linzy is a Marketing Coordinator at SAGE and an enthusiastic home baker. She graduated from Southern Methodist University with a B.B.A. in Marketing and has loved sharing fresh product ideas and marketing advice ever since. Great content Linzy! These are perfect tips to get your page in shape. Useful Article. Thanks for sharing such an informative article.